The 51s capitalized on a 10th-inning error to defeat the host Oklahoma City Dodgers 3-2 in the series finale Tuesday at Chickasaw Bricktown Ballpark. For the second time on the 51s’ seven-day trip, starter Drew Gagnon pitched well enough to get a win only to come away with a no-decision. Reliever Drew Smith again was tagged with a blown save after one of Gagnon’s best starts this season. But the 51s, as they did five days earlier, rebounded for a 10-inning win, beating the host Oklahoma City Dodgers 3-2 on Tuesday at Chickasaw Bricktown Ballpark. Dodgers shortstop Angelo Mora made an error in the 10th inning on a ball hit by Jeff McNeil, allowing Zach Borenstein to score the go-ahead run. The 51s (30-42), because of the new pace of play rules, started with a runner (Borenstein) on second base before Peter Alonso’s walk and Ty Kelly’s sacrifice bunt. They then scored the go-ahead run on the error. Jacob Rhame, who relieved Smith, picked up the win after pitching a scoreless ninth and 10th. Smith was charged with his fourth blown save, allowing a run on two hits in the eighth inning. Rocky Gale’s sacrifice fly off Smith tied the score 2-2 and gave Gagnon the no-decision. The right-hander pitched seven innings of one-run ball, giving up three hits while striking out seven with no walks. He was removed after throwing 79 pitches. The 51s took a 1-0 lead in the first on McNeil’s double. After Oklahoma City tied the score in the fifth, they scored a run in the sixth on Patrick Kivlehan’s single. 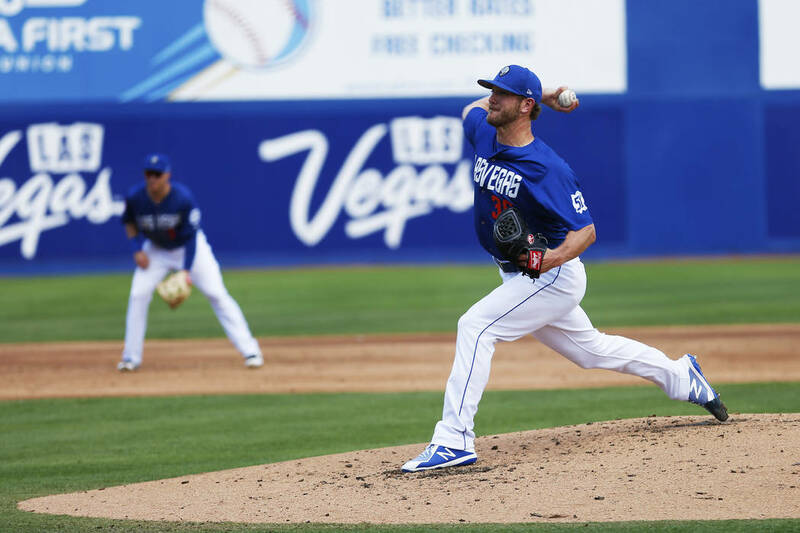 The win sent the 51s into their Wednesday off day with a split of the four-game series against Oklahoma City (41-26), one of the Pacific Coast League’s best teams.